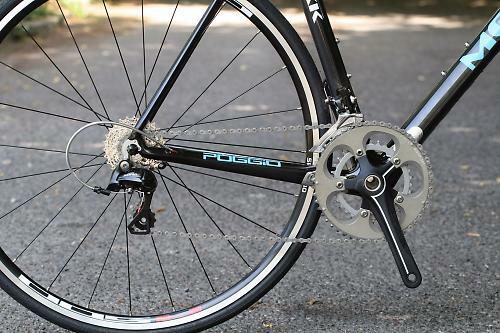 To keep the price down, they’ve given this model a Sora 9-speed groupset. It’s the latest version, with Dual Control shifters so you get similar shifting to the more expensive groupsets. You can get better specced bikes for this money: the Boardman Road Team costs £999 and comes with Shimano 105 for example. 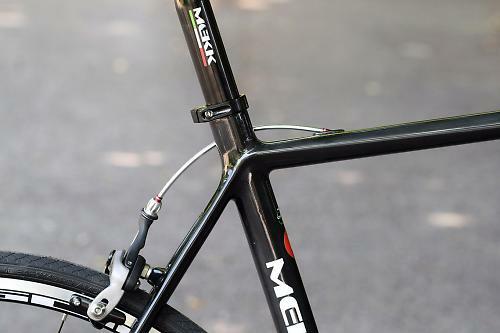 It’s clear Mekk is trying to offer a high quality frame at this price, which does leave less money for the parts, but in doing so offering the potential for some serious upgrading. Some parts to show the squeeze on the build budget include the own-brand compact 50/34 chainset and dual pivot brake design. They have easily replaceable cartridge brake pads, a nice touch. It’ll be interesting to see how these perform compared to Shimano options. Most of the finishing kit is Mekk’s own brand too, with a Selle Royal saddle a noticeable upgrade. 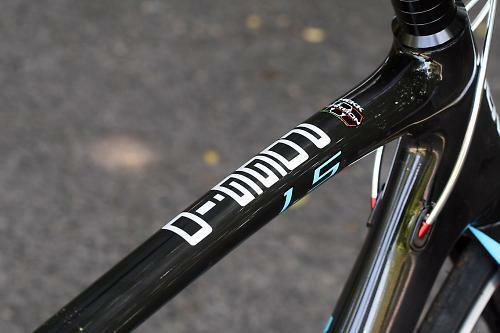 It’s a nicely finished frame. 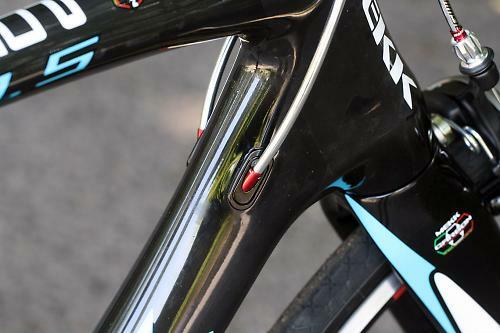 A bi-ovalised downtube flares noticeably at the head tube and bottom bracket junction, and the cable entry ports are well designed. Their own carbon fork plugs in at the front of the frame. 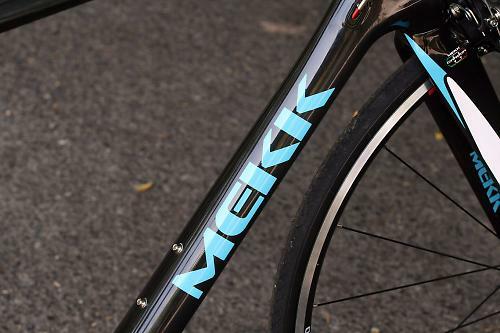 Mekk offer the frame in five sizes; we have a 56cm model to test. Geometry on that size includes a 16cm head tube which gives the bike race credentials, along with a 72 degree seat tube angle and 73 head tube angle, combined with a 988mm wheelbase. Those numbers should produce a fast handling bike ideal for those wanting an engaging road bike to sling through country lanes or around a crit circuit. There’s lots of choice in the £1,000 category. Here’s our roundup of some offerings.